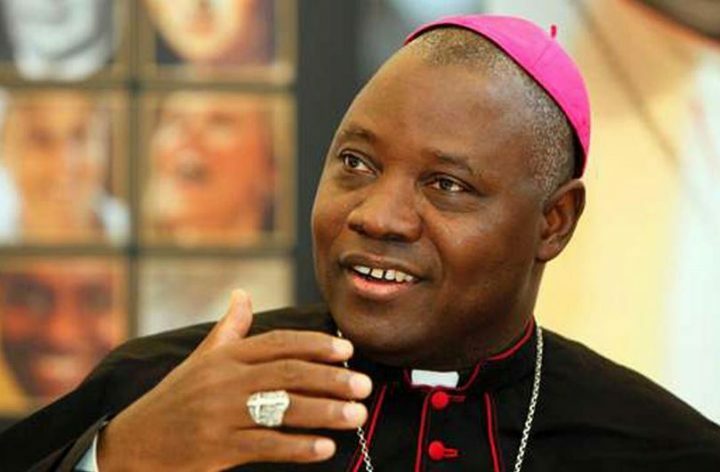 The President, Catholic Bishops’ Conference of Nigeria, Archbishop Ignatius Kaigama says he is attracted to the qualities in Governor of Borno State, Kashim Shettima because he has proved not to be “narrow-minded and myopic” but rather one who is broad and fair to adherents of all religious groups as being testified by Christian leaders from all denominations living in Borno. Kaigama Stated this in Maiduguri when he led Bishops to pay a courtesy call on Governor Shettima. The Catholic Bishops’ Conference was on empathy visit to Borno to celebrate the 50th anniversary of Maiduguri catholic diocese (1966 to 2016). He is also very humble. I told His Eminence, the Cardinal that in some places we go, we have to wait for two hours or three in order to meet some government personalities but in Borno State, the Governor was the one receiving us and bringing us in. We came from different parts of Nigeria, and we are Catholic Bishops. It is our tradition to meet always, to interact, to pray, and to express solidarity with ourselves and those who are in need. We are a voice for the people. Our voice is a prophetic voice. We see where things are good, we say it so. Where things are bad, we say it so. This is our mission and today we are in Borno State. We are truly overwhelmed with what we have seen. I can tell you we are already convinced that Borno State is on a very high-level gear of progress. ‎They say seeing is believing. We have come, we have seen, and we are convinced there’s a lot of good happenings here. Despite all the negative stories about terrorist attacks and so on, there are determined people on the ground who have a capable leader in the person of the Governor determined to forge ahead, to inspire peaceful coexistence to encourage people to transcend the temporary obstacles in order that they can build a very solid and vibrant State. We are witnesses, and I can tell you we shall go from here to Lagos to Ibadan to Onitsha to Calabar to Lokoja to Abuja to tell this story” Archbishop Kaigama said. ‎Earlier, the Archbishop of Maiduguri Diocese, Bishop Oliver Dashe had in his introductory comments, spoke of how Governor Shettima has been rebuilding churches destroyed by Boko Haram in Borno State, supporting activities of Christian bodies for all denominations and being fair to Christians in the affairs of Government the same way he is fair to the more populated Muslim community. “I want to tell you all (Archbishops) that Governor Kashim Shettima has been a father to all of us. Under his regime, we are experiencing fantastic relationship between the government and Christians in this State. The Governor makes sure he carries everybody along as far as his administration is concerned” Archbishop Dashe said. Governor Shettima thanked the Archbishops for standing by the people of Borno State through thick and thin. He noted as a leader, he has obligation to be fair to everyone living in Borno irrespective of religious beliefs, ethnicity and from where anyone comes from. Established in 1958, ‎the Catholic Bishops’ Conference of Nigeria, CBCN, is the organ of unity for Archbishops and bishops of the 54 ecclesiastical jurisdictions under the Catholic Church in Nigeria.